Tomorrow lawyers for Seven will ask a Federal Court to suspend Nine’s Hot Plate citing a breach of copyright, after viewers took to social media calling it a ‘rip-off’ of My Kitchen Rules. Nine’s format is produced by production company Endemol (now Endemol Shine Australia). Both shows have two judges, state-based teams and dinners being critiqued, with plenty of robust opinions being traded across the table. But while there are plenty of cooking shows on television, where do you draw the line as to a breach of copyright? Media and entertainment lawyer Shaun Miller told TV Tonight, while you can’t copyright an idea, there is protection in the execution. “The court will be looking at the format rights of My Kitchen Rules and looking to see if there has been substantial copying of those format rights in The Hot Plate,” he says. “So you would look at how contestants are voted on or off, the things they have to do such as cooking or judging each other’s food, where the judges sit, music elements, if there is similar lingo being used, the tone of the show. 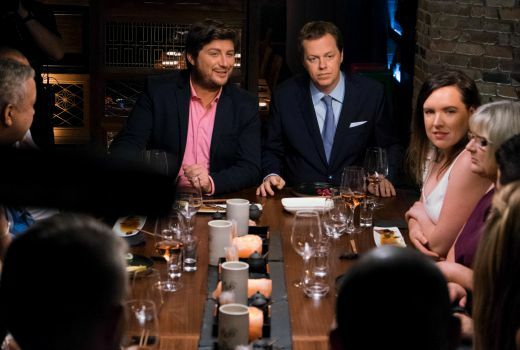 While Seven’s show features amateur cooks, Nine has experienced restaurateurs competing, but Miller says that may not be enough point of difference. The copyright protection is also found in the literary work of the show’s bible, or manual. “The bible is the DNA how the show operates and functions. Everything from contestants, judges, theme and all the essential elements,” he says. There is also the question of ‘Passing Off’ -a representation that a person’s goods or services are those of someone else and intended to injure a plaintiff. 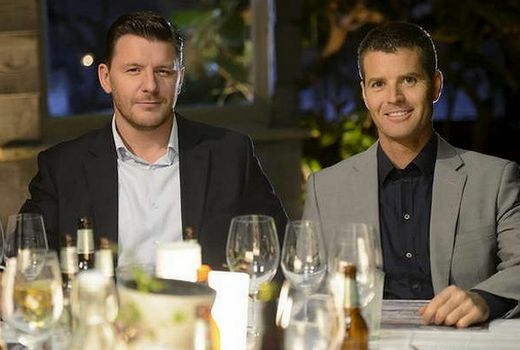 Nine says it will vigorously defend its new show and argue that subsequent episodes will deviate with further makeover elements of its restaurants. Miller argues it will need to be a significant part of the storytelling to make a good case. “If the tangent of the show starts diverging with new elements involving the contestants, judging or setting, the look and the tone then there would be a better argument by Nine that the series as a whole is not breaching the format rights of My Kitchen Rules,” he says. This is exactly what copyright is…the protection of “intellectual property” i.e. ideas! This is one of the reasons why some lawyers a few years ago were beginning to question copyright law…they were asking how can someone own an idea? A philosophical question for another time, but I would think a lawyer would understand the meaning of copyright, surely? A few comments in reply. Firstly you are questioning my prose, not his direct quote, so the lawyer in question certainly understands copyright law which is what he works in. Let’s be clear: of course copyright law protects intellectual property. It does this through the expression (ie. execution) of the idea. This is what is copyrighted. Not the idea. In fact an idea is not even tangible until it has been expressed, through which its elements are protected. In this case via the bible. Interesting that the day after this article said it would come down to the bible, that’s exactly what happened in court today. If formats cannot be protected then its an awful slippery slope ahead . No matter ho you feel about the Sven/Nine sandpit – the larger (and much more significant) issue here is the value of intellectual property. I think it’s a ripoff .way too similar. After watching the show again last night it’s not similar its identical. Blatant copy. The Federal Court of Australia is a national court which sits in all capital cities and elsewhere in Australia when necessary. It’s “head office” may be in Sydney but it could sit in Melbourne, and there could be several Federal Court sittings at the same time in different places. Therefore, it would be A Federal Court, not The Federal Court. The High Court of Australia sits in The High Court of Australia building in Canberra. I refer you to an AAP article on Sky News Australia where it is written, “The Seven Network has taken its rival to the Federal Court seeking to prevent Nine from…” Notice the instead of A. I do not think however, that such a distinction greatly alters the meaning of the sentence. Thank you for your consideration. If a hot plate falls in a kitchen and nobody hears … What’s the sound of one editor, editing? Why hasn’t anyone addressed the elephant in the room – many of the producers and execs of the Endemol show are all former a Seven staff?? Maybe Seven should be smarter with making staff sign non-disclosure agreements… It’s a freelance market becuase the networks and foreign owned production companies don’t want to lock in staff long term. I watched it tonight for the first time. Quite entertaining but yes – ridiculously similar to MKR. Just seems strange that after all these years, it’s finally going to court. Million Dollar chance of a lifetime/Who wants to be a Millionaire, Today Tonight/A Current Affair, Ground Force/Backyard Blitz, Border Security/Customs…….the list could go on and on. Sudden legal action over this situation could suggest 7 are just annoyed that RR isn’t rating…..
It’s Million Dollar Minute by the way. When Andrew Skarbek won $1,016,000 (the $16,000 was safe money collected throughout the shows) , I knew that Seven would have to cut back on winnings. It’s gotten to the point where I watch Hot Seat 99% of the way through. Just before Family Feud starts, I catch the 1% of MDM left to find out the result of the day. If a contestant goes for $500,000 or higher, then Seven might get me back. Sorry I got off track to this article’s discussion. In regards to this article, would Seven react differently if Revolution was absolutely flogging Hot Plate? I reckon Seven would have gone “Meh”. Million Dollar Chance of a Lifetime was a show 7 developed years and years ago that coincided with the launch of Who Wants to be a Millionaire on 9. It was eventually axed but there was furore at the time at the copycat tactics. You tube it! Seven think they have some chance of getting an injunction to get Hot Plate off air. That will boost RR and damage Nine severely. Secondly eventually they may win damages and cost against Nine if it succeeds. Arguing that casting of real people is problematical, how are you going to allege that one real person is a copy of another real person? The main things that MKR has that distinguish it from other Dinner Party cooking contests (e.g. Come Dine With Me) is that the contestants compete as pairs (which comes from Amazing Race) and there are two judges (Masterchef) as well as the contestant scores. Agree that a bunch of shows owe their casting to Amazing Race. They were first to start branding teams. Competing in pairs could be traced way back to My Resaurant Rules though, not only the amazing race. Channel 9 should thank 7 if it gets taken off air. That’s quite a simplistic description of passing off. It’s going to be very difficult to prove in this case. This is clearly a copyright issue rather than tort law. There’s not a lot of case law on formats so this will be an interesting case. There’s an old case about an Australian movie that was a lot like Jaws but that’s a bit of an aberration and deserves to be overturned. I think the formats are different enough as the expression comes primarily from the contestants who are all different. An unscripted person can’t breech copyright and people are the core of the show. Unscripted people and individuals are not accused of breaching copyright. Nine and Endemol are through the elements of the storytelling. Yes I understand that David, I’m suggesting that the substantive part of each show i.e the expression of the idea is generated each episode by the contestants. So it’s difficult to show that one show has been copied by the other purely by the other elements. Whether or not enough similar elements combined are enough to infringe will be up to the court. It wasn’t enough in the case of Dream Home and The Block which is I think an analogous case. Expression is more than just what a contestant says, as lawyer explains here. They certainly add to the tone, which is manipulated and produced by producers. They are the ones deciding what goes in and out. Agree the court will look at the sum of the parts, which again is the thrust of this story. Will be fascinating to watch. I think it is a rip off, but proving it in court is tough. The majority of the public might see it as an obvious copy, but there’s s lot of loopholes in the law. Nine will claim Hotplate has professional chefs competing while MKR have amateurs. Seven do a good job ripping formats all the time, so they’ll need to be careful what kind of precedent they set. OK , OK I can’t resist but is this a case of the pot calling the kettle black ? I would be surprised if the Court doesn’t find that there is a breach of copyright here. The shows are virtually identical, the only real point of difference I could find is that the cooks on TH are professional. That’s it. The rest of the show is the exact same template as MKR, except MKR is much more entertaining. It is a shameless rip-off. 2 bald guys fighting over a comb.